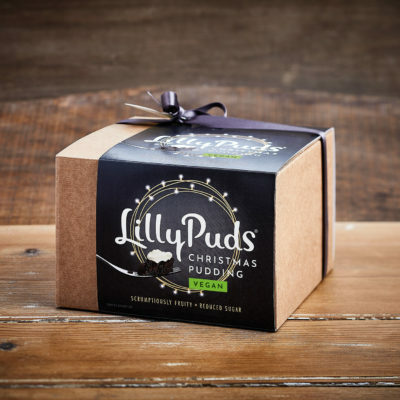 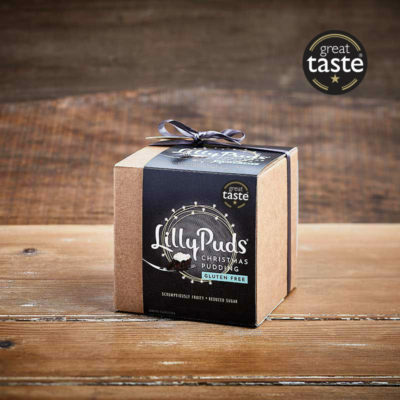 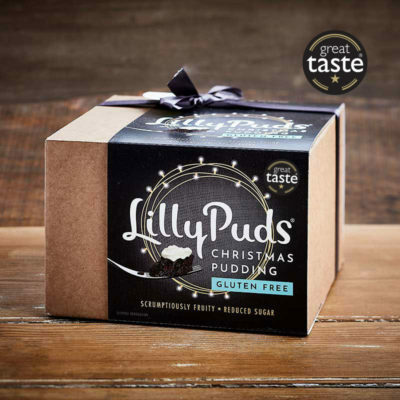 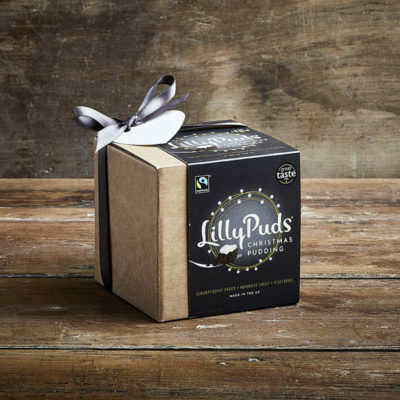 LillyPuds premium Gluten Free Christmas pudding – finest vine fruits, apples, apricots, almonds and ginger blended with ale and brandy. 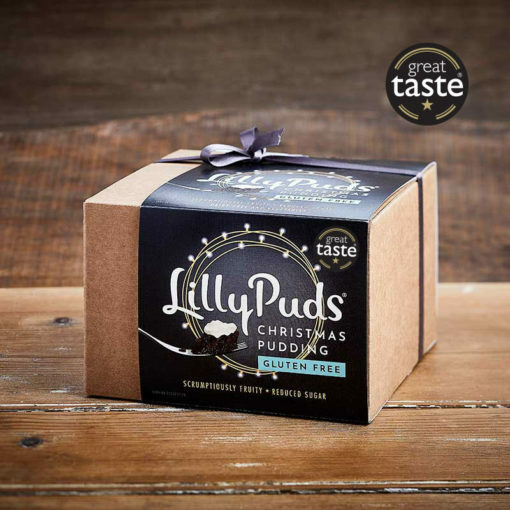 Vine Fruits (37.5%) (Sultanas, Raisins, Currants), Apple, Non-hydrogenated Vegetable Suet (Responsibly Sourced Palm Oil, Sunflower Oil, Rice Flour), BBC Gluten Free Chockwork Beer (6.5%), Pasteurised Free Range Whole EGG, Gluten Free Flour (Rice, Potato, Tapioca, Maize, Buckwheat), Glace Cherries (Cherries, Glucose Fructose Syrup, Acidity Regulator: Citric Acid; Colour: Fruit and Vegetable Juice Concentrate), Ground ALMONDS, Stem Ginger (Ginger, Sugar), Un-Sulphured Apricots (Apricots, Rice Flour), Dark Muscovado Sugar (Sugar, Cane Molasses, Colour: Plain Caramel E150a), Brandy (3.3%), Orange Juice, Lemon Juice, Mixed Spice, Ground Ginger, Nutmeg, Orange Zest, Lemon Zest. 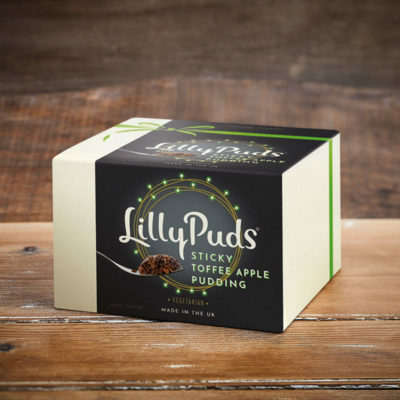 For allergens, see ingredients in BOLD above. 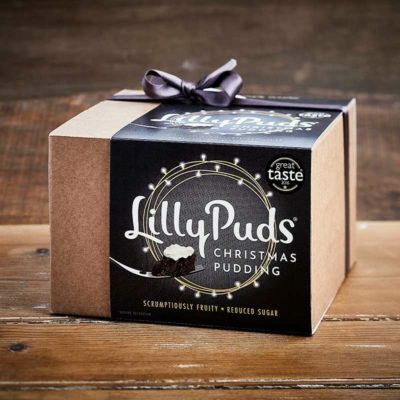 May also contain sesame.